USFSPA gives very specific guidelines about when non-military spouses can keep their military benefits. Under most circumstances, divorcing non-military spouses do not keep any eligibility for military benefits if they were married for only a few years. This means that non-military ex-spouses lose their access to military health care, military commissaries and exchanges, military housing and military family services. 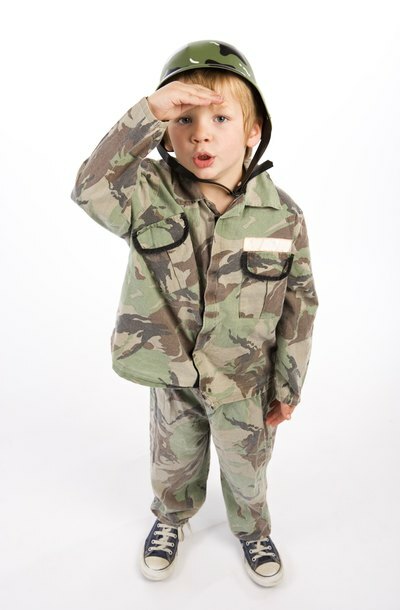 Children of the divorcing couple remain eligible for these services, however, because they continue to be dependents of the military member. Though benefits are not available to a non-military spouse with a short-term marriage, retirement pay might be available. The USFSPA allows civilian, or state, courts to award the non-military spouse a portion of the military spouse's retirement pay, which can include up to half of the portion of retirement pay he earned while the couple was married. Retirement pay can be awarded as marital property or as alimony or child support. Federal law does not dictate to the states how they can award this money; instead, federal law leaves it to the states to decide, and states are not required to divide the military member's pay at all. State courts can award a portion of the pay, even if the military member is not yet retired. The Defense Finance and Accounting Service, the government agency that distributes military pay, can send retirement pay portions directly to a non-military ex-spouse. To qualify for this direct payment, the spouses must have been married for at least 10 years, during which the military member must have performed at least 10 years of retirement-creditable service. Direct retirement pay is only available, a court has ordered it. Other types of court-ordered payments, like child support, can be paid directly regardless, of how long the spouses were married. To keep full benefits, the non-military spouse must pass the USFSPA's 20-year test, if they were divorced after April 1, 1985; the couple must have been married for at least 20 years, during which time, the military member must have performed at least 20 years of active service. For example, a non-military spouse who was married for 25 years will qualify if her spouse served at least 20 years during their marriage. If he only served 19 years, she will not qualify for full benefits. Spouses whose marriage only overlaps the military spouse's service by 15 years may qualify for one year of transitional benefits, but cannot receive full benefits, unless the couple's divorce was final before April 1, 1985.